CD’s will normally have a definite signature but according to Edd it isn’t apparent on the Lou Reed tape. He says they’re from safety master tapes, so possibly the Melodiya archives? Well, maybe if someone is digitising the back catalogue of wherever these tapes came from for archiving, it would probably be pretty easy to drop a Hi res copy onto a USB stick while they’re at it. it would probably be pretty easy to drop a Hi res copy onto a USB stick while they’re at it. But where would be the ‘fun’ in that? The fun would come from flogging it to decadent westerners for £70-odd a pop. A few years ago I spent some time in Estonia & whilst there visited a record shop. This shop carried a range of used LPs including much classical (plenty on Melodiya). the choice of pop or rock music was strictly limited & seemed to comprise rather bland compilations of unchallenging material. I certainly wouldn’t have found anything as decadent as Lou Reed or the Doors in there. If this store’s used records section was a reflection of what had been on sale in the wider Soviet Union in the 60’s 70’s & 80’s I’m puzzled as to whether a company like Melodiya would really have had access to master tapes from artists like the Doors & Lou Reed. What would they have done with them? Did anyone here have experience travelling in the USSR & actually see what kinds of music were available to buy there? Were artists like the Doors played on the radio? I’m sure the market opened up, especially after the Gorbachev era, so maybe they’re from whoever had the distribution rights. I only said Melodiya because I thought they had a monopoly in the USSR. I was joking, you know. That’s quite possible, I’m sure things did relax there from the late 80’s onwards. I don’t mean to criticise the tapeists but were people honestly impressed by Transformer? I thought it sounded terrible, all the low level detail was missing, the recording level was so high the tape was bordering on distortion and it lost all its subtlety. I’d love to know what they have as the original source for these. This one is a bit of a giveaway tbh. Its the same track listing as the 40th Anniversary masters that were released separately as CDs as well as in the Perception box set which includes the CD and DVD-Audio of each principal Doors release. I have this and its excellent (although purists moan about speed correction on S/T and replacement of certain bits of vocal from other mixes etc). 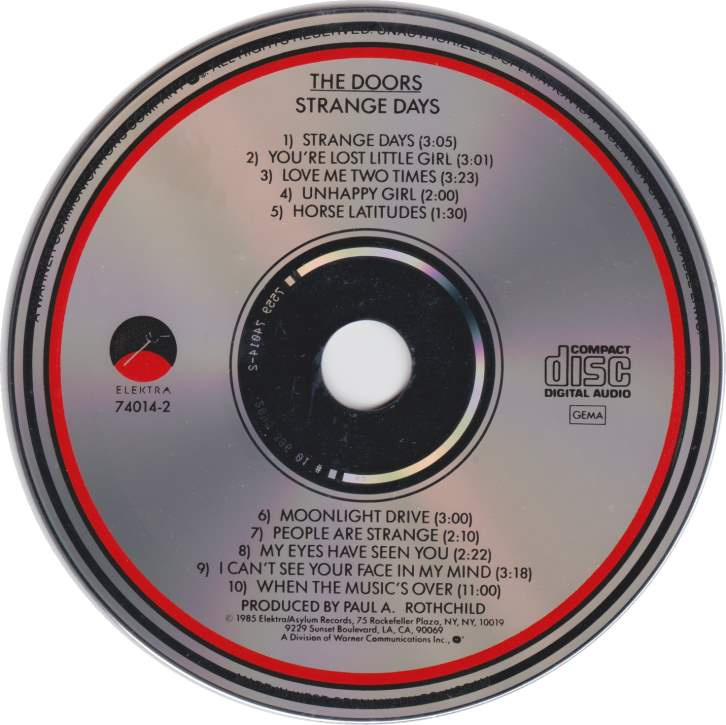 The tracks on the tape copy of Strange Days’ are exactly as per the 40th ann release and so suspect high quality DVD-A copy. Once I’ve got my DAC back in the system I’ll have a listen to the DVD-A to compare SQ, but I’m certain that this is the source. Team Numero is down in Houston on a serious tape hunt. Alec Palao (pictured below) fearlessly leads the way. This is what we do. Numero do things right. I don’t mean sound quality (A lot of what they release will have been recorded poorly in the first instance) but licensing and making sure the original artist or estate gets a fair share is IMHO just correct. So many re-issue labels are basically boot specialists. They may officially state they are setting aside 20% of profits should the original artist appear but this is rarely the case, often no attempt has been made to license or contact the original artist. Large selection of faff for somebody? Nice Technics 1500 refurbed by Stephen Bennett. Nice, I’ll have to get mine down to Steve’s for a tune up soon.